Specially designed for wellingtons and outdoor boots, Falke Active Warm Plus Knee High Socks are thick, warm terry cushioned socks for kids, made with soft virgin wool, and the ability to keep active feet warmer and drier. Taking tips from the design and the wear benefits of performance socks, they have an ergonomic sole and toe, anatomically shaped for a perfect left and right fit (marked L and R conveniently). 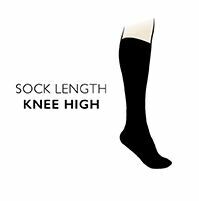 Falke Active Warm Plus Knee High Socks’ special sole manufacture provides optimum moisture management that moves sweat and dampness away to create a comfortable, dry foot climate that is healthy for young feet. Baby sock sizes are based on age. Please choose size according to the age of the intended wearer.